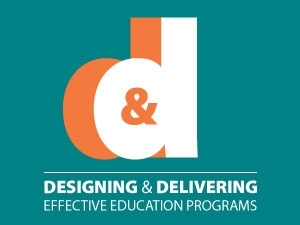 Designing and Delivering Effective Education Programs is a 5-day course designed for health care professionals who educate staff or patients/families to develop the knowledge and skills of how to design and deliver effective education programs. This program is designed to be highly interactive and build on basic skills that participants have already acquired throughout their professional careers and roles. Throughout the program, there will be several opportunities to learn from the experience and expertise of participants, as well as expert program facilitators. Through the course, we will focus on both the content and the process of developing education programs. It has been designed for participants to benefit from the program content and enjoy the process of learning. RNAO is proud to bring you this innovative course so you can continue to build your confidence, knowledge and capacity as a nursing professional. This program is designed to be highly interactive and build on basic skills that participants have already acquired throughout their professional careers and roles. You will learn from the experience and expertise of participants, as well as expert program facilitators. Develop skills that are immediately applicable to your role as an educator.